Edith Cavell: "No Hatred Or Bitterness"
Edith Cavell was British nurse arrested in Brussels and tried by a German military court during the First World War. She was charged with having aided Allied soldiers escape from Belgium, convicted, and executed by firing squad on 12 October 1915. I first learned about the life of Edith Cavell when I was a girl. I read a lot of biographies, then as now, and I don't remember much about the book I read or when I read it (unlike my very distinct memory of having read about the sad end of Jane Grey, the "nine days" queen of England). I am wondering, now, if I might have stumbled on Iris Vinton's The Story of Edith Cavell, a biography of Cavell written for children and published in 1959. The timing is certainly right--but, then again, I read widely beyond the shelves of children's books, and so who knows what I read, other than it had to be a book published before 1962 or so. Born on 4 December 1865, Edith Cavell began her life much as the central figure of a novel by Jane Austen, or maybe one of the Brontës. She was the eldest daughter of a provincial vicar who had fallen in love with and then married his housekeeper's daughter. 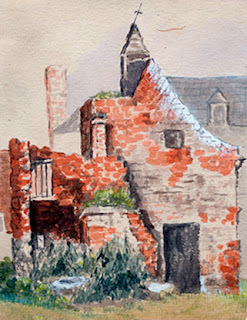 His eldest daughter, Edith, was educated first at home, then briefly at the Norwich High School, and finally, between 1881 and 1884, at a series of boarding schools, Edith eventually trained as a "pupil teacher" at Laurel Court (Peterborough), the last of the establishments she attended. She took a series of posts as a governess, but while she was at Laurel Court, she had learned French well enough to be recommended for a post in Brussels in 1890. For five years, from 1890 until 1895, she was a governess for the François family. In addition to improving her French and managing the lives of the family's four children, she also focused on developing her sketching, drawing, and painting. In 1895, Cavell returned to England to nurse her father, who was suffering from a serious illness. Once he had recovered, she was determined to become a nurse. In April 1896, she began training at the London Hospital (now the Royal London Hospital). She served as a nurse during an outbreak of typhoid fever in Maidstone the next year, and by 1898 was working as a private nurse. By 1899 she took up the post as a night superintendent at St. Pancras Hospital, a Poor Law institution. By 1903, she had transferred to the workhouse infirmary at Shoreditch, where she became assistant matron in 1903. She continued her career with a transfer to the Manchester and Salford Sick Poor and Private Nursing Institution, where she became a temporary matron. But by 1907 she was again in Brussels, where she had been offered a permanent position in the newly established L’Ecole Belge d’Infirmieres Diplomees, known more simply as the "Clinique," serving as head of the institution, which was dedicated to the training of nurses. 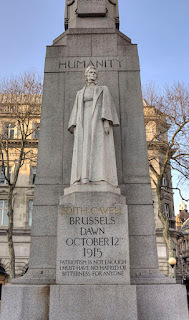 Cavell was still working in Brussels in August 1914, though she was actually visiting her widowed mother in Norfolk when she heard the German declaration of war--she returned to the city immediately, arriving by 4 August, the day the Germans invaded neutral Belgium. With soldiers of all nationalities in the city, the Brussels clinic was established as a Red Cross hospital, dedicated to treating all wounded, regardless of their national origins. 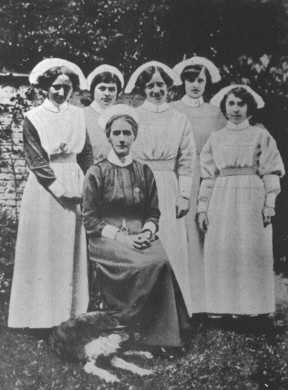 After the fall of Brussels (21-22 August) the Germans took over the clinic for their own soldiers, sending home some sixty British nurses, though Cavell and her assistant, Elizabeth Wilkins, remained in the city. By autumn, Brussels was completely isolated--and Cavell found herself faced by a moral dilemma. As a "protected" Red Cross nurse, she was supposed to remain neutral. But as a human being, she felt compelled to aid the British and Allied soldiers and civilians who found their way to her, seeking shelter and assistance. And so she offered her assistance. She helped wounded British and French soldiers escape to The Netherlands; she sheltered Belgian and French civilians, especially those of military age, until they could be provided with false identification papers and guided to safety. Within a year, by August 1915, Cavell and the clinic had fallen under suspicion--and then she was betrayed by a French collaborator, George Gaston Quien. In exchange for his own safety, he had disguised himself as an Allied soldier, sought aid at the clinic, and received it. Cavell and some thirty-five men and women associated with the clinic were arrested on 5 August 1915 and held in the St. Gilles prison. Over the next ten weeks, she was interrogated on three separate occasions--8, 18, and 22 August. Presented by signed depositions that, she was told, fully outlined the activities of those at the clinic (the documents were written in German and only described to her in French), she freely and fully admitted to her own role in protecting men and helping them escape. According to Cavell's own deposition, she had helped some 60 British and French soldiers to safety and had sheltered a hundred Belgian and French citizens of military age escape. Her two-day trial before a military tribunal began on 7 October; along with those who had been arrested with her, she was charged with "conducting soldiers to the enemy," helping them return to their home countries so that they could rejoin the fighting. While she admitted helping men escape Brussels, Cavell was clear in her own testimony that her aid had been limited and that her goal had not been to help men return to battle. In response to the charge, she clarified her role: "My preoccupation has not been to aid the enemy but to help the men who applied to me to reach the frontier. Once across the frontier they were free." An international effort was being made on her behalf, with appeals for clemency being made by Hugh S. Gibson, the first secretary of the U. S. legation in Brussels; by Rodrigo de Saavedra and Vinent, the marquis de Villalobar, the Spanish ambassador; and by Maurits Van Vollenhoven, the Dutch ambassador, Maurits Van Vollenhoven. The British government could do nothing to save her, or at least thought it could not help her. Sir Horace Rowland, the top official of the Foreign Office, wrote, ""I am afraid that it is likely to go hard with Miss Cavell," adding that in the matter the British were "powerless." I have no fear or shrinking. I have seen death so often that it is not strange or fearful to me. This time of rest has been a great mercy. Everyone here has been very kind. This I would say standing as I do in view of God and eternity, I realise that patriotism is not enough. I must have no hatred or bitterness towards anyone. Cavell was executed by firing squad early on the morning on 12 October. She recorded her own death in her diary: "Died at 07h on 12th October 1915." 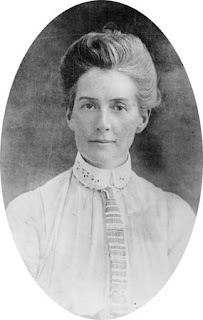 Although she herself wished to be remembered as a simple person who did her duty, Cavell and her "martyrdom" were quickly seized on by Allied propagandists, her death serving as a recruiting tool for the military. Buried hurriedly in a field next to the St. Gilles prison, Cavendish's body was exhumed after the war and returned to England. 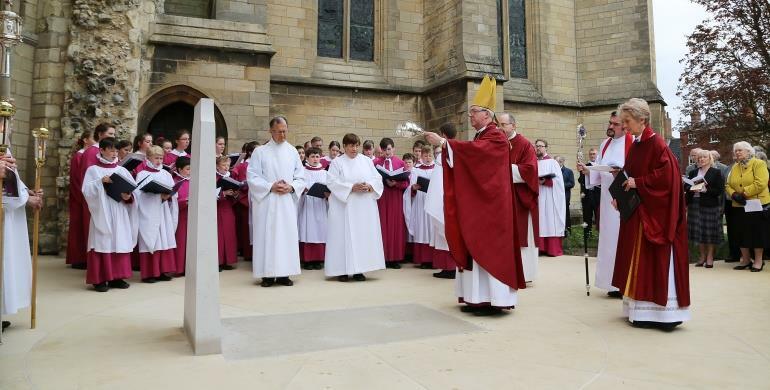 In 1919, following a memorial at Westminster abbey, she was interred in Norwich Cathedral. After the war, too, she was posthumously awarded the Cross of the Order of Leopold by Albert I, king of he Belgians, the government itself awarding her the Croix Civique. In France, she was recognized with the Légion d'Honneur. The best place to start your further reading is the website dedicated to her, which you can access by clicking here. In addition to a thorough biographical introduction, there you will find discussions of newly recovered documentary evidence as well as further links and reading. 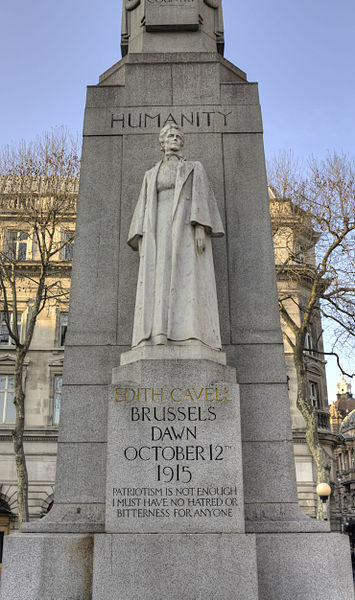 You might also enjoy the website of the Belgian Edith Cavell Commemoration Group, created for the occasion of the centenary of Cavell's death. You can also read about one of the more enduring monuments to Cavell, the Edith Cavell Clinic, which began operation in 1915.